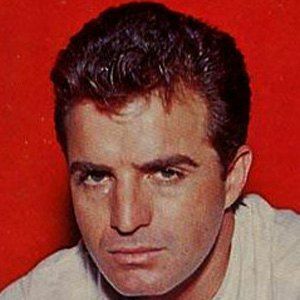 Star of the popular medical drama series Ben Casey, in which he played the title character. He also played Major Cliff Bricker in the 1968 war film, The Devil's Brigade. He was born with a twin brother and was the youngest of seven children. He played the main protagonist in the sci-fi film, Space Raiders. He married four times, lastly to Janet Friedman in 1994. He played a villain in the pilot episode of Knight Rider, a series starring David Hasselhoff.